Interiors are intimidating. Purchasing furniture scares me! Plus, I am no good at it. I mean it SERIOUSLY scares me to commit to large pieces for our home, because my style changes with my moods. Rugs... now those I am good at! I have never been disappointed by buying a bold, colorful rug even though I am terrified of putting color on my walls. I feel like rugs are so easy to mold into a space and they transition so easily with the furniture that surrounds them. Rugs just have so many moods, that is probably why I love them! 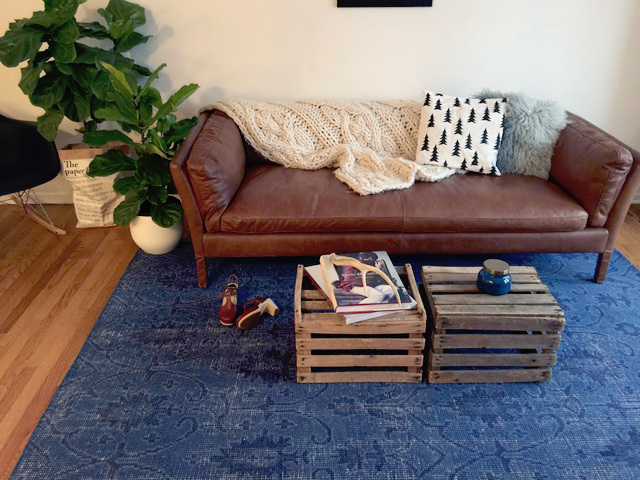 I recently fell in love with over-dyed rugs and how they bring life into a room. They are that perfect contrast against a neutral color palette to keep a minimal but warm feel. I know that having less in our life (and home) is a really important piece of our culture at the moment. We are trying to live a more simple life with wanting less things and really taking in more time for one another. Along with that I really didn't want to lose the warm and welcoming feel. Minimalism often feels so stark, but that really isn't the case, you can have less and still stay true to who you are. When I originally decided to go for over-dyed I knew that the color choice was extremely important. Although, I was drawn to some pinks and purples I knew that it would be only a matter of time before I was sick of them. So, I tried to figure out how one goes about choosing what type of color to buy when you are naturally prone to color commitment issues? I then had this thought, well what color do I most have in my closet? What color does Andy wear most often? Denim. Blues. That is when I knew that despite my desire to do something radical, it was best to stay in a color palette that I trust and one that feels lived in. I could always bring bold pops into the room with throws, pillows or art if I really wanted. When it comes to buying the big pieces for your room stick to a color that you trust and that makes you feel calm and there is a good chance you won't get bored of it or sick of it! 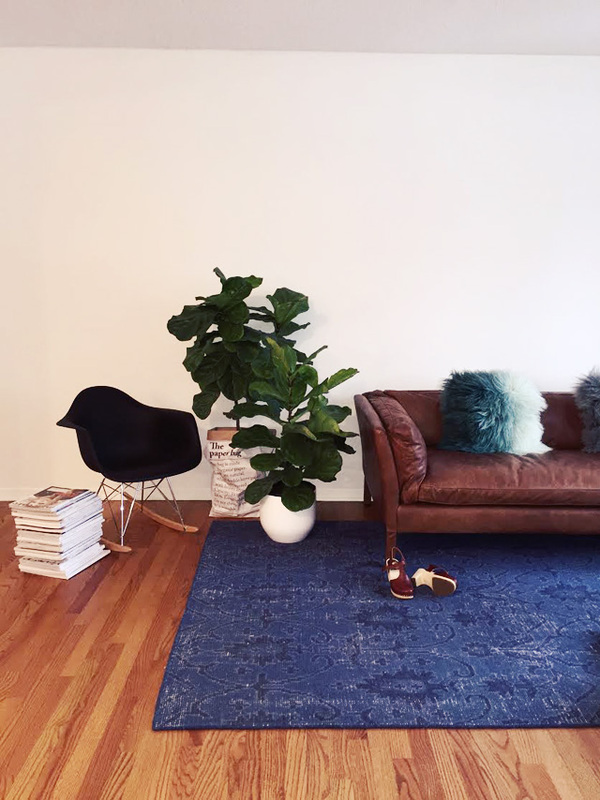 I found this Kaleen over-dyed denim rug over at Rugs Direct and immediately I loved it. I felt like the subtle pattern and blue dyes really stayed true to my own character and aesthetic. I am no design expert but I really feel like finding something that suits your main moods is in important key when buying statement pieces for your home. Our homes not only represent us, but they are where we identify ourselves. Our new place will be a melding of our personalities and moods. We want it to be simple and full of comfort. Our house is finally starting to reflect us and it feels so good! 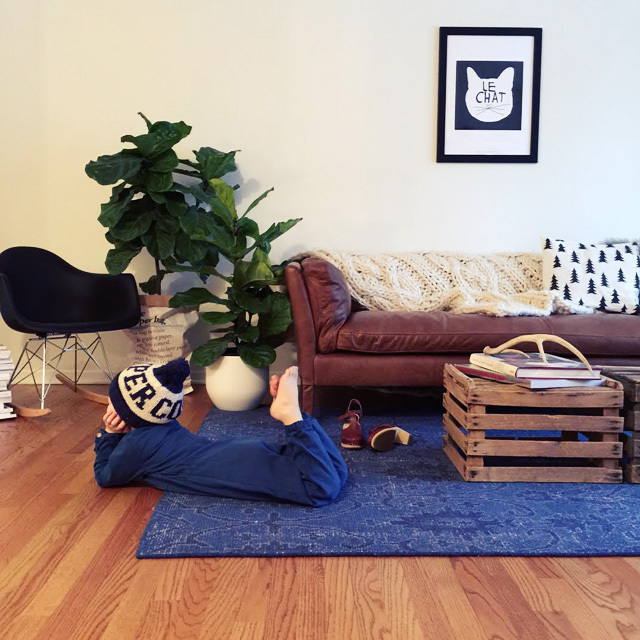 We are giving away $300 to Rugs Direct, on our instagram, so you will have a chance to explore with color and spruce up your own space! Be sure to head on over and check it out! Gorgeous. Furniture is so hard. 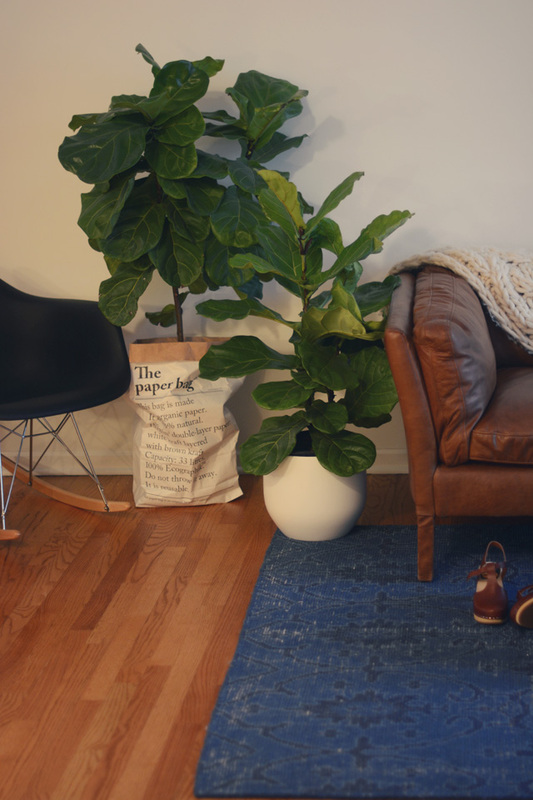 I'm trying to live a more simple life as well, but I agree that it can sometimes feel so stark and it doesn't go well with every style of home especially older ones! I love how you are buying things that represent you. Can't wait to see the rest.